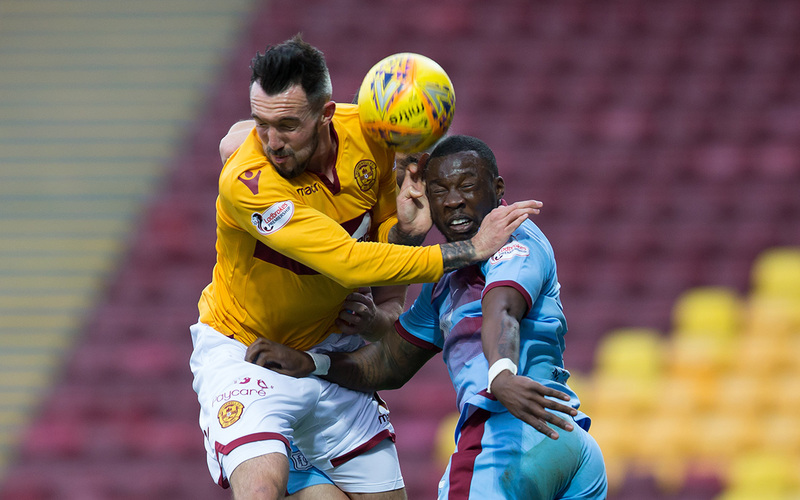 A spectacular winner by David Turnbull midway through the second half gave Motherwell a 1-0 win over the Dark Blues at Fir Park. Dundee had good moments, but couldn’t turn that into the penetration they needed to take anything from the match. Jim McIntyre made three changes. Calvin Miller, Andy Boyle and Sofien Moussa all started, in the places of Roarie Deacon, Ryan Inniss and and Benjamin Källman. Motherwell were unchanged. The match got off to a cracking start that wasn’t sustained in a largely uneventful first half. The Dee went close in the second minute when Jesse Curran’s cross from the right was returned into the goalmouth by Calvin Miller and Sofien Moussa couldn’t quite get a touch on the ball only a few feet out. Well broke quickly and Jack Hamilton parried Gael Bigirimana’s powerful shot from 22 yards. When the ball was returned into the six yard box Darren O’Dea had to clear over his own crossbar. Calvin Miller sent over two dangerous corners that had the home defence in trouble. Darren O’Dea headed the second against the underside of the crossbar. The ball came down a foot outside the line and Motherwell scrambled it clear. This was all in the first 10 minutes and chances were harder to come by in the rest of the first half. Dundee had a couple of optimistic penalty claims when Jesse Curran and Kenny Miller went down. Apart from that the Dee regularly buzzed around the home penalty area without opening up Well’s defence. 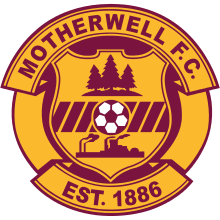 Motherwell enjoyed no more success, though they did have a few shots from distance without quite finding their range. They came closest from a poorly defended corner that produced a messy fight for the ball in the goalmouth that ended with Ryan Bowman scuffing a shot wide. Well started the second half by throwing themselves at the Dee, who struggled to cope with the intensity of the home attacks for a few minutes. Curtis Main went down under Darren O’Dea’s challenge before he could shoot, but Mr Robertson waved play on. Moments later Main’s low cross was heading for the far post where Bowman would have had a tap in, but O’Dea’s desperate interception prevented a goal and Hamilton grabbed the loose ball before it bobbled into the goal. At one point Motherwell players were queueing up to shoot, but Cammy Kerr threw his body in the way to block. Bowman then went close with a glancing header from Liam Grimshaw’s cross. Dundee lost O’Dea with a head knock after 58 minutes and Ryan Inniss replaced him. 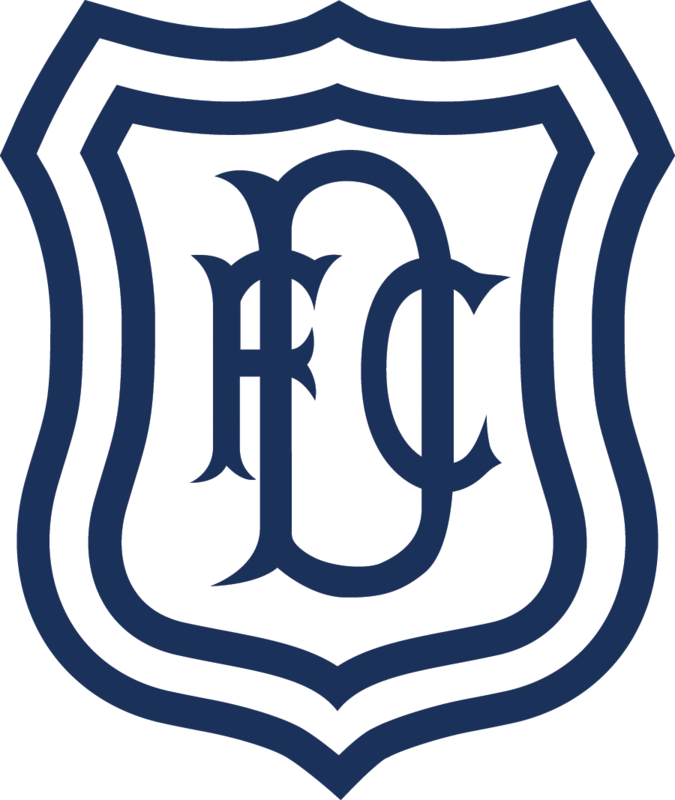 Gradually Dundee played their way back into the game after riding out the storm. Moussa had another penalty claim following great play when Calvin Miller burst into the penalty area. As the match was starting to open up with either side looking like they could win David TURNBULL settled the match with a stunning goal after 68 minutes. Picking the ball up in midfield he unleashed a ferocious rising shot into the top corner from 35 yards. Dundee tried their hardest to pull the goal back and had plenty of possession but all the attacks petered out. The final balls were never good enough and it was frustrating to see some good approach play undone by poor crosses or decisions. Shortly after the goal Dundee brought on Martin Woods for his debut, and Paul McGowan also made his return from injury, replacing Jesse Curran and Sofien Moussa. There were five minutes of injury time but Dundee couldn’t find any way through. The Dee had to play the last few minutes with 10 men after Andy Boyle was taken off with a gashed knee. Setting aside the disappointment of the defeat this was a clear improvement following the poor performances of the last few games. The Dee were very much in the match throughout and were better organised and more effective in midfield. The real problem today was in the final third where they lacked the quality they needed to take a point. Unused subs: Gillespie (gk), Frear, Mbulu, Maguire. Booked: Bowman (foul on O’Dea), Tait (foul on Curran), Johnson (foul on Kerr). Unused subs: Parsh (gk), Deacon, Mendy, Lambert. Booked: Kerr (foul on Turnbull). Referee: Don Robertson. Assistants: Drew Kirkland, Andrew McWilliam. Fourth Official: Andrew Dallas.